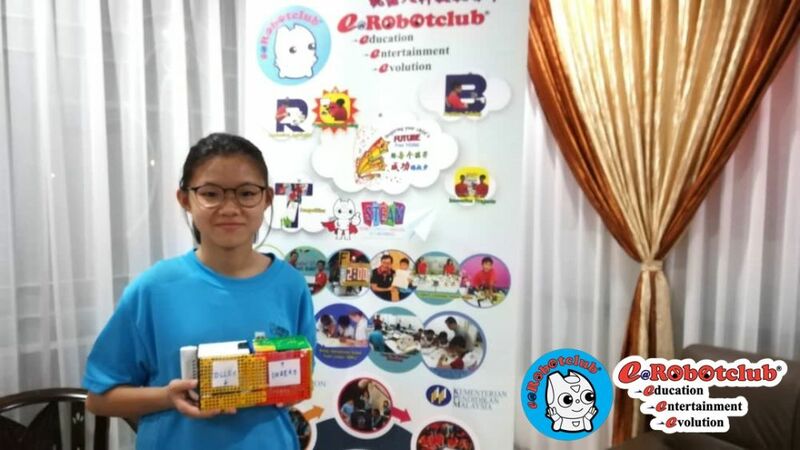 Jeslyn Lee from e@Robotclub Butterworth is a 14 years old girl starting her robotics learning with Jack Chong, a experienced engineer inspired kids to learn STEM. Today, she made a 'Polling Robot', the purpose is to seed up the voting process and increase more in efficiency in calculating vote. At first PR will scan voter ID card, after it scan then will rolled out the polling card for the voter to vote, After that voter just insert in the polling card in the (Insert Box),the Robot will scan the card and then will send out the result to the main center in KL for the Total Calculation. After received all the DATA from all the state in Malaysia, the Main Computer will Total all the result. believe this will increase the process for Voting.